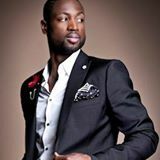 dwyane wade | Doc is Blog-tastic! 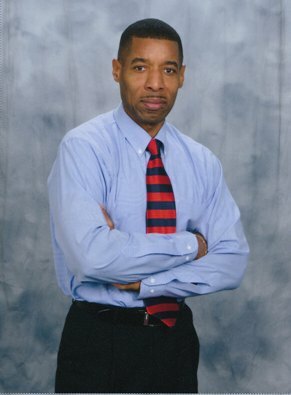 : #1 as the CEO of Me Inc.
Donald Sterling still has some hate left in him. His wife believes it’s his Dimentia that’s kicking-in. NBA fans can be the judge or they can do like Magic Johnson and focus on the game. Some are wondering if Dwyane Wade has anything left in the tank. He might need some playoff tonic for the Heat to 3-peat. His stats are down. He’s played reduced minutes for much of the regular season. But the coach says the team will need him at full-throttle. His love for the game trumps the pressure to compete. So Wade has had to reinvent his play by finding a new gear. The pros in business and sports do the same thing. Whether due to playoff or layoff, aging pros or job market woes, they keep pressing on and off the court. It’s about thinking beyond the playing field to the field of dreams. That’s how the Heat coaches and players see the big picture. Doing a 3-peat is not an easy reach. It’s been their way of finding a new goal. Sometimes “reinventing your go” is about finding a new dimension to your game. You see it in how Wade contributes the intangibles in his play. It might not make it to the score-sheet. But it makes it in how he still brings some heat. He might have lost a step. But he hasn’t lost his touch and edge for playing the game. Sterling’s days as an owner might be numbered. Similarly, Wade’s days on a roster are approaching sunset. Gone are the days when he’s seen as the star-attraction on the basketball court. But since he might not be ready to retire he keeps finding a new gear, a new goal and a new dimension to his game. Donald Sterling still has hate. His CNN talk’s another viral spate. Wife believes he suffers from Dimentia. Could be true, but also some racial inertia. NBA fans can judge one way or another. But focusing on the game is Magic Johnson’s cover. Some see Wade as on the mend. Might need a playoff tonic to defend. Stats down, injuries a bother. Play reduced as a season regular. Coach says team needs him full throttle. So Wade might need the vitamin bottle. His love for the game starts with his feet. Trumping the pain and pressure to compete. Reinvents his play by finding a new gear. With fashion statement in pre-game wear. As seen on the NBA TV playoff. And the network evening news layoff. Aging pros or job market woes. Pressing on and staying on your toes. Think beyond the work or game field. The field of dreams a power to wield. Heat’s big picture is doing a 3-peat. Well that’s not an easy feat. As others push it to compete. Take the time to “reinvent your go.” By finding new dimensions to grow. Wade scores less but brings intangible asset. His play still rivals among the best. Might not make the video clip or score-sheet. But he still makes fans jump out their seat. Lost a step in his game. But his touch and edge are just the same. Sterling’s days as owner look bleak. Wade’s b-ball has reached its peak. Gone are the days he’s the star-attraction. With Lebron James getting all the action. His days on a roster approaching sunset. But his goals aren’t done quite yet. So he keeps finding new gear in time. Showing a new dimension in his prime. Tip: “Reinventing your go” is about finding a new gear in time or finding a new goal in your prime. Talkback: How many years does Wade have left on his contract and how much gas does he have left in his tank?